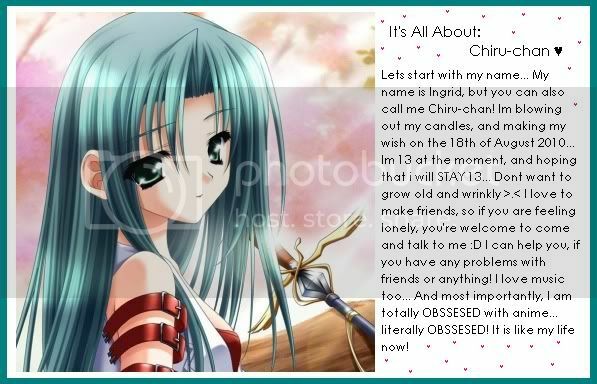 "Anime... Anime... Manga... Manga... "
You wanna know more about me? Well ask awayyyyyy~ And I'll answer! Login or register to add Shana Alastor ◕ _ ◕ as your friend!